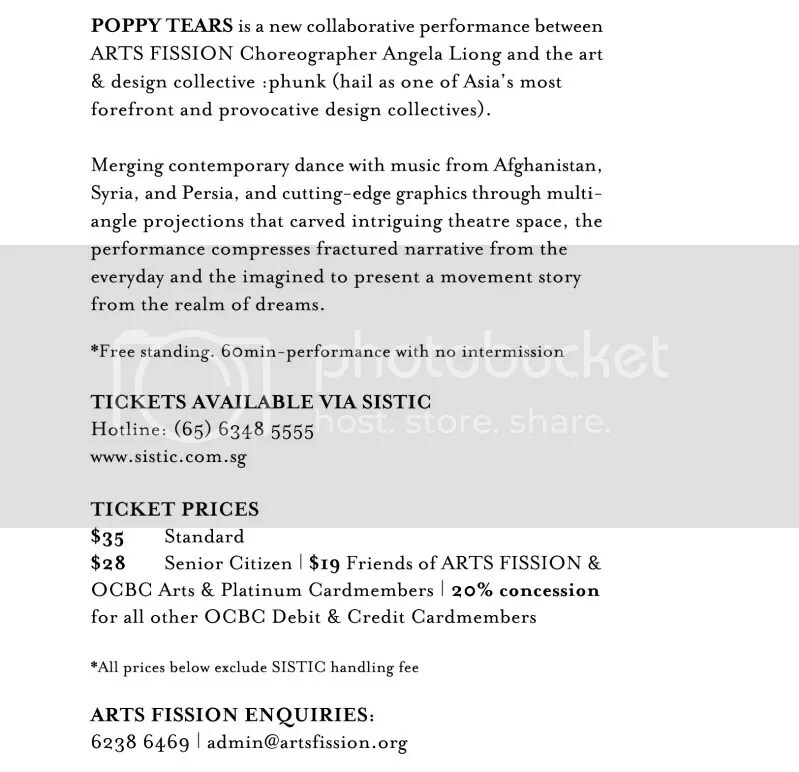 Shutter Journey (Singapore) Photography Group has been appointed by The Arts Fission Company for their upcoming performance "Poppy Tears" as the Official Photography Team. 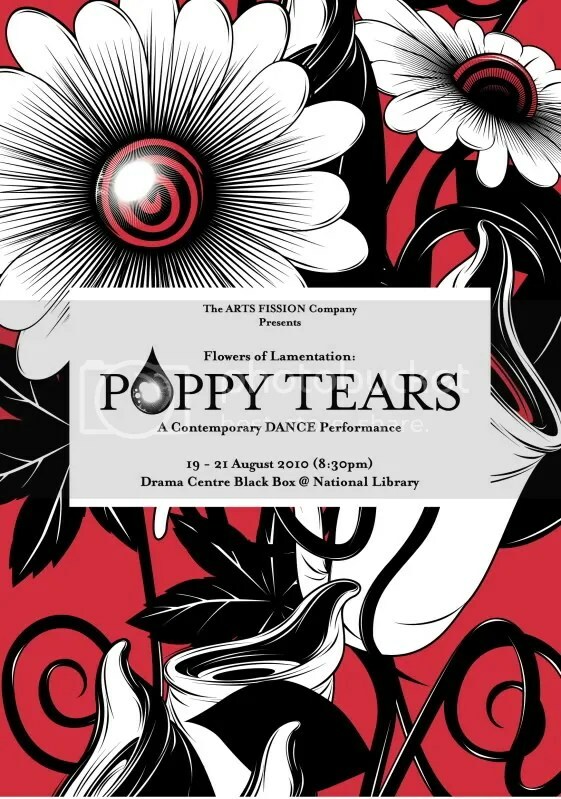 The team will cover the rehearsal and 3 days performance at the Drama Centre Black Box @National Library from 18th August to 21st August 2010. (19th-21st August performance days). Featuring a Roaming performance covering the Lobby and Theatre, this will be one photography challenge. This is a 60 minute performance with no intermission and photography is NOT Allowed by the public. Ticketing by SISTIC and More details below.